German Style Fluffy Apple Pancakes. Delicious, quick and easy recipe and these are certainly fluffy! German Style Fluffy Apple Pancakes. 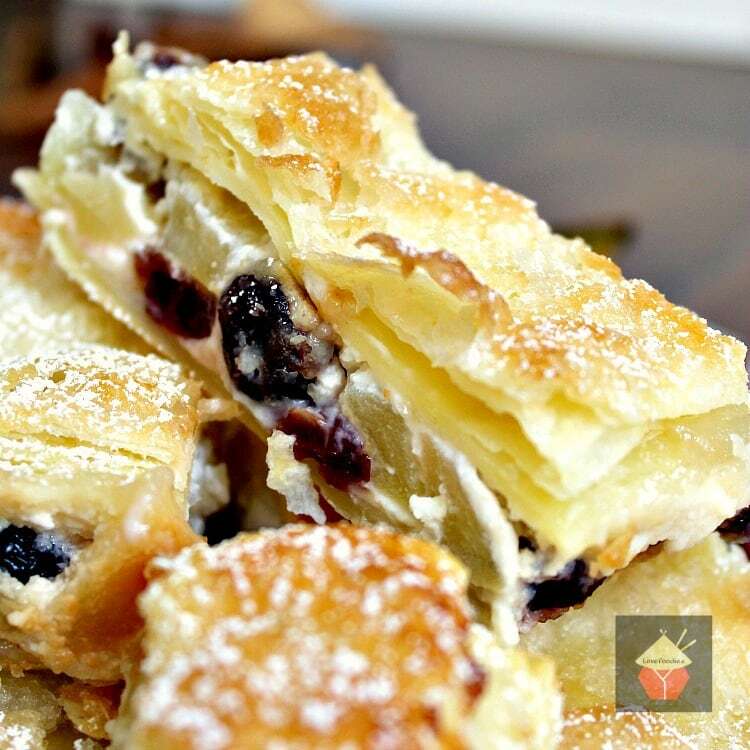 Delicious, quick and easy recipe and these are certainly fluffy! Serve warm with a sprinkling of sugar and a dash of cinnamon. Fluffy Apple Pancakes! I love this recipe! It requires very little skill, it’s budget-friendly, quick to make and absolutely delicious! Serve warm with a sprinkle of sugar and a dash of cinnamon and enjoy! I made this recipe without adding any fat to the recipe, other than a little bit to cook the pancakes. The method of adding egg whites to the batter ensures maximum fluffiness and lightness in every bite! 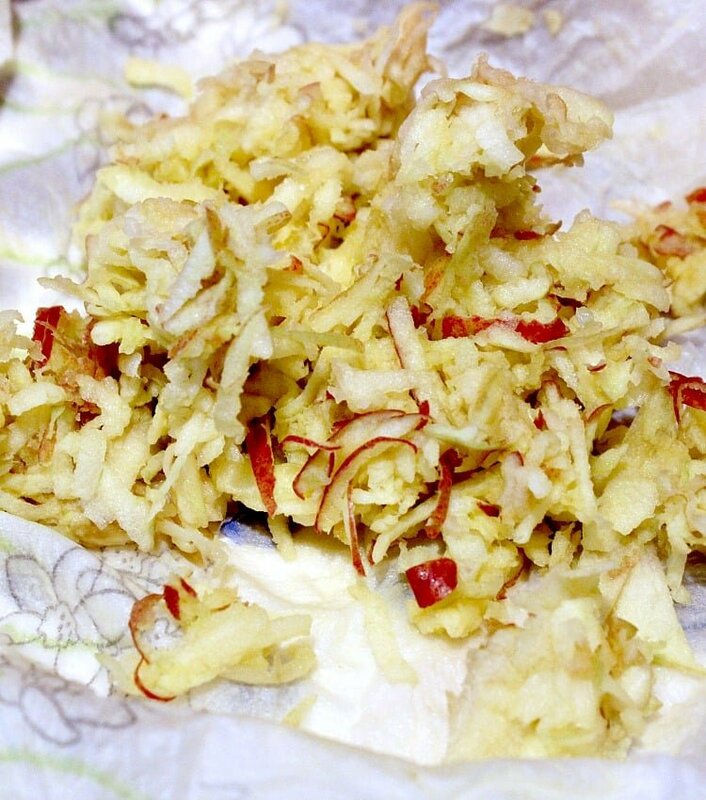 I’ve also made this recipe using grated pears, and it’s very delicious. So I would encourage you to experiment a little and try out different fruits and simply enjoy! My inspiration came after visiting a German pancake stall in a market in Dusseldorf, and the pancakes there looked so inviting! I ordered one and the lady cooked it, sprinkled sugar and cinnamon then sliced it just like you see in the photo, then handed it to me on a paper plate. it was wonderful! The pancake lady posing very proudly with my pancake order! This was the finished pancake from the pancake stall. 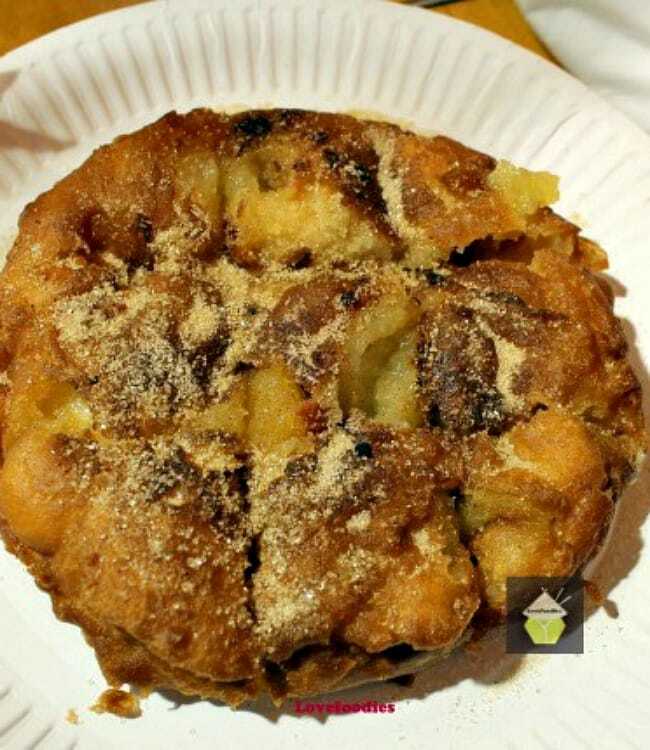 It had huge chunks of apple and then sprinkled with sugar and cinnamon. Then sliced as you can see and served on the paper plate! **** Please note, if you would like more texture and a stronger apple taste, you can add 1 extra apple. 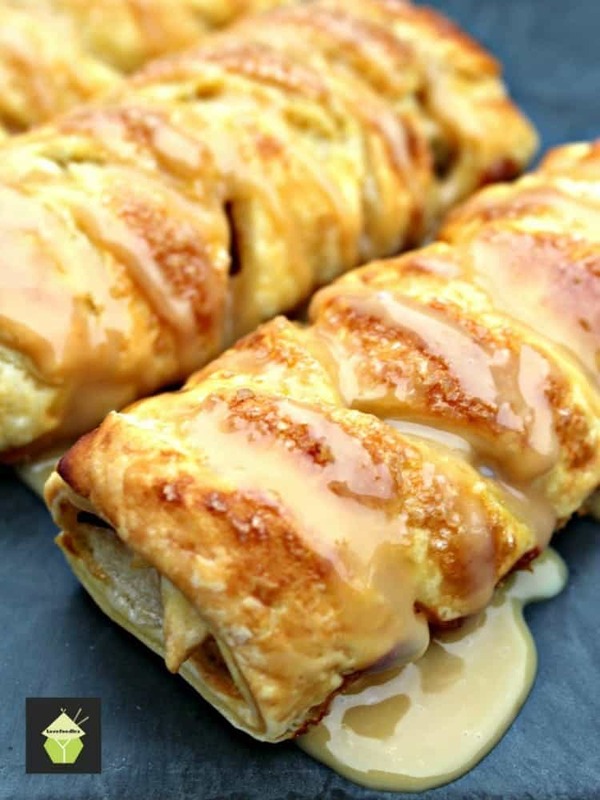 The recipe as it is gives you a little texture and a gentle taste of apple. 1. 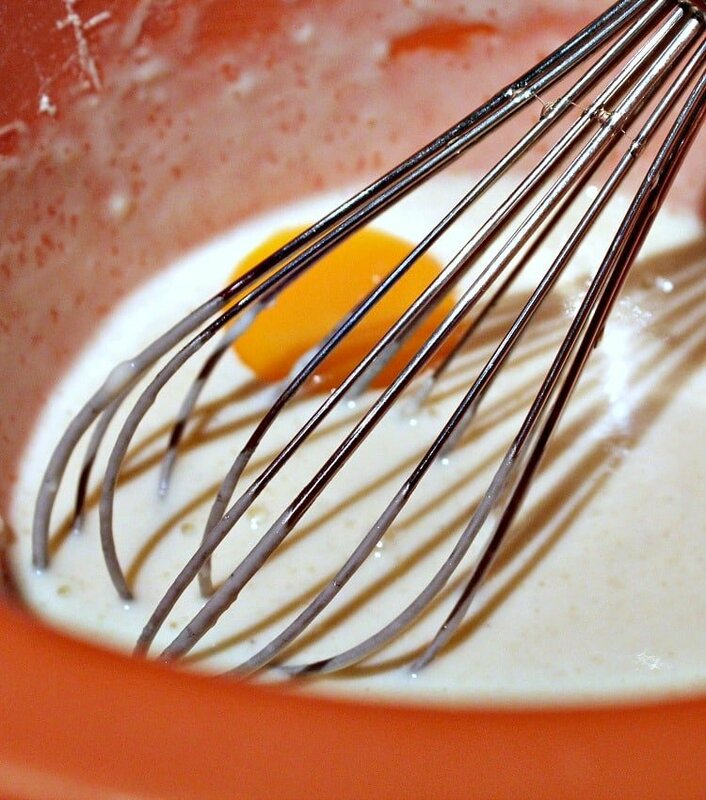 Place Sieved flour, sugar, vanilla, salt, baking powder milk and egg YOLK in a bowl and whisk. 3. Grate the apple using large holes in grater and lightly squeeze excess juice. 4. Add the grated apple to the batter. 5. Lightly fold in the egg white to the batter. 6. Heat a small pan with a drop of oil and place 2 tablespoons of batter in the pan on low heat. When golden, turn the pancake over and allow to cook until both sides are golden. 7. Serve warm with a sprinkling of sugar and cinnamon to your taste. It is customary in German ‘pancake’ stalls to slice across and pre-cut the pancakes before serving, as shown in the photos. 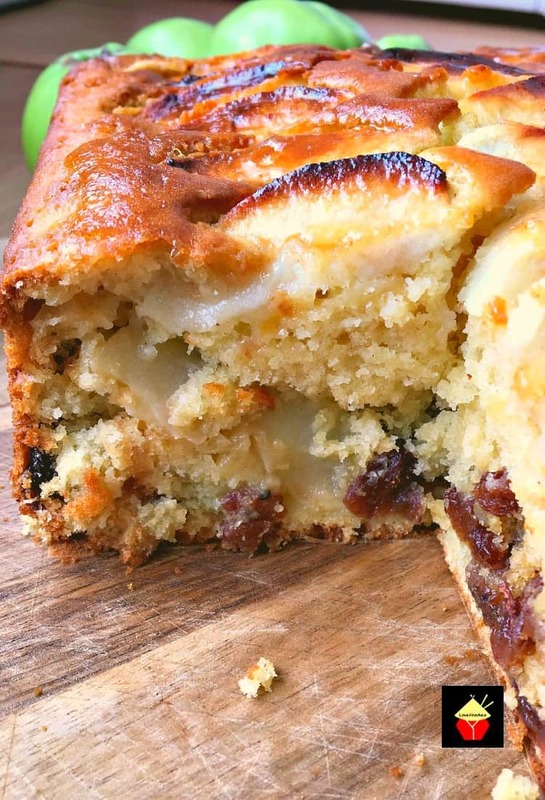 We’d love to hear from you and what you thought of our German Style Fluffy Apple Pancakes recipe. Did you make any changes or add some other goodies? Let us know in the comments below. Thanks for reading and happy cooking! 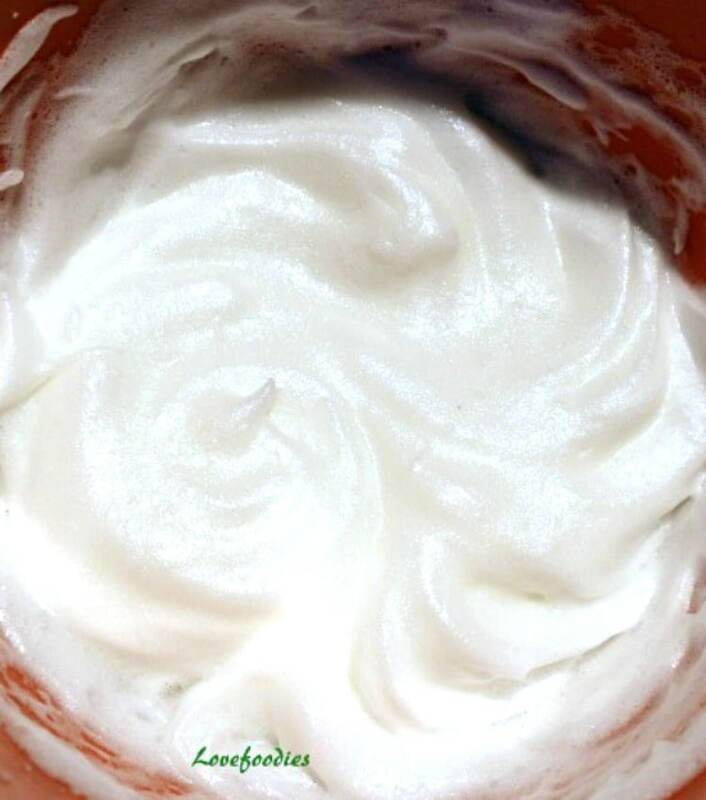 Place Sieved flour, sugar, vanilla, salt, baking powder milk and egg YOLK in a bowl and whisk. Grate the apple using large holes in grater and lightly squeeze excess juice. Add the grated apple to the batter. Lightly fold in the egg white to the batter. Heat a small pan with a drop of oil and place 2 tablespoons of batter in the pan on low heat. 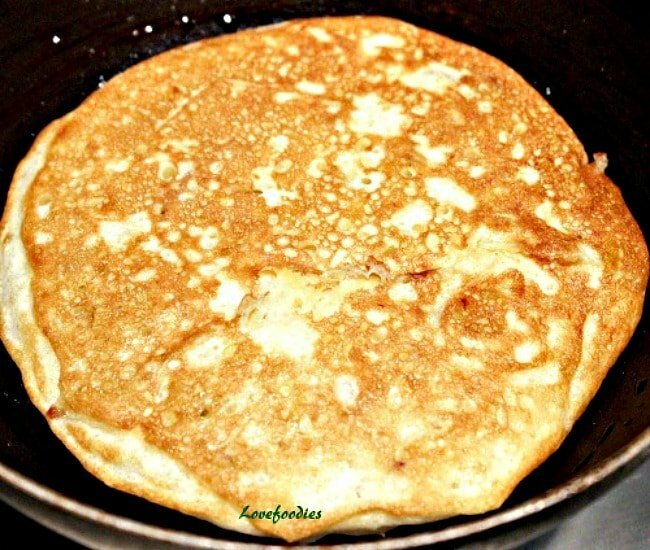 When golden, turn the pancake over and allow to cook until both sides are golden. Serve warm with a sprinkling of sugar and cinnamon to your taste. 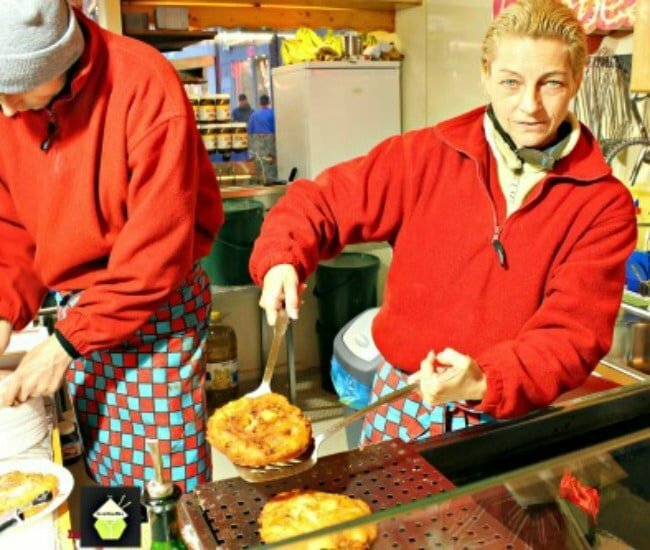 It is customary in German 'pancake' stalls to slice across and pre cut the pancakes before serving, as shown in the photos. Thank you for sharing what looks like a wonderful recipe, however there must be something wrong with the directions. How could just two tablespoons possibly produced a pancake that looks like the one in the photo? It seems like an impossibly small amount of batter. Hi Eric, it is definitely 2 tablespoons of batter! Once you put the batter in the pan it will spread and the heat will cause it to fluff up so it will rise. Hope that helps explain! Mine turned out kinda heavy and doughy any thoughts on to why this may have happened? My batter was pretty thick too. Hi Heidi, It sounds like your batter was probably too thick. It needs to be like a pouring yogurt consistency, and after you dip the apple in the batter, let any excess drip off the apple before frying. The fritters should have a light, crispy batter, so I am guessing that is the cause. For future, I would suggest adding extra milk, until you get that pouring consistency. You will find, even from different brands of flour, the measure will not be exact because all flour tends to have a different absorption. But that will be the trick, to add more milk. Hope that helps, and that you can try them again soon! This never says when to add the vanilla and if any sugar goes in the batter. Thanks for bringing this to my attention. I must have missed it out by mistake when I was typing the recipe up. Both ingredients are added in Step 1. I’ve amended the recipe so it is showing this now. Thanks once again, and I hope you will try it soon. It’s really very delicious! wooohoooo! Glad you like them Nettie. No fat and a little sugar in the recipe so you can eat LOTS 🙂 Please enjoy! OMG, fantastic with a little more apple. The only problem now is the kids want it everyday before school. .lol so thanks a lot. If I hear Nana! ! Are you going to make us pan cakes again? I might add at 0630 I barely have my peepers open! Haha!! You are funny Bea! I have to say, the thing that takes the longest is grating the apples, however, when I say ‘the longest time’, I am talking 1 – 2 minutes… maybe it is the prepping when your eyes are still half closed which is the hardest part! These are really yummy, I am not sure if they would work if you cooked them the night before, refrigerated then reheated in the microwave the next morning. I think they would be ok like that, at least for ease and speed it would be ok!! Let me tell you, I don’t mind grating those little babies so I am all in! Hi Bea, that’s good to hear! I am all about pancakes in the morning! This looks so good! Thanks! I’m glad you like the recipe! !